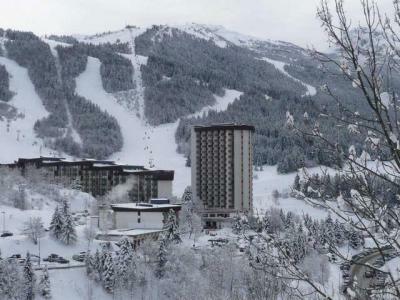 The Residence La Croix Margot is situated in the ski resort of Villard de Lans, at 300m from the center and shops of the resort. 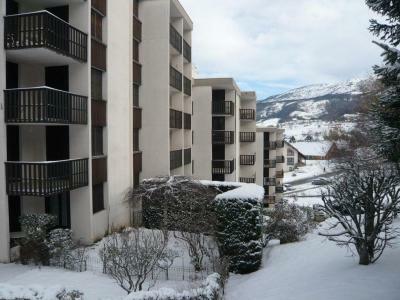 Ski slopes "Balcons-Cote 2000" are at 4km from the residence. Apartments are comfy and well equipped. You will benefit from the free shuttle, bus stop at 50m from the establishment, to go to the ski area. The Residence Les Aloubiers is situated in the Balcon district in the ski resort of Villard de Lans. Ski slopes are at the foot of the residence. 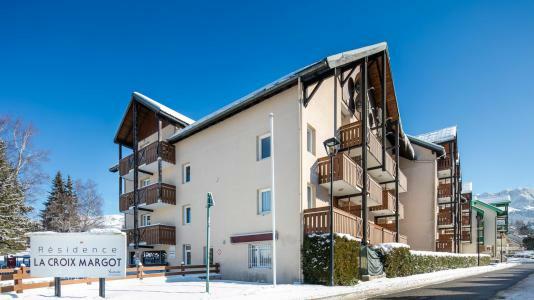 You will have main shops, restaurants and Ski School close to the residence. 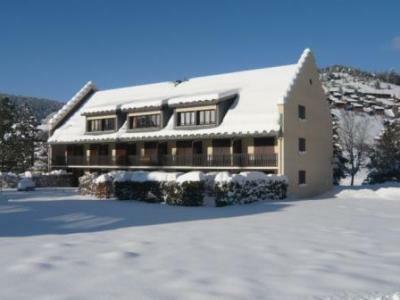 You will be near all amenities of the resort of Villard de Lans. The residence Les Quatres Saisons is situated 50 m away from the village center of Correncon and 2 km from the ski slopes. The residence is nearby services with a bus stop in front fo the residence. The Residence les Arolles is situated in the Balcon district of the ski resort of Villard de Lans, at the foot of the ski slopes. You will be near mais shops , restaurants and Ski School of the resort. Benefit from your stay to hurtle the slopes down! The Residence Les Glovettes is situated in the ski resort of Villard de Lans, at 50m from the ski slopes. You will have a wonderful view over the surrounding mountains. 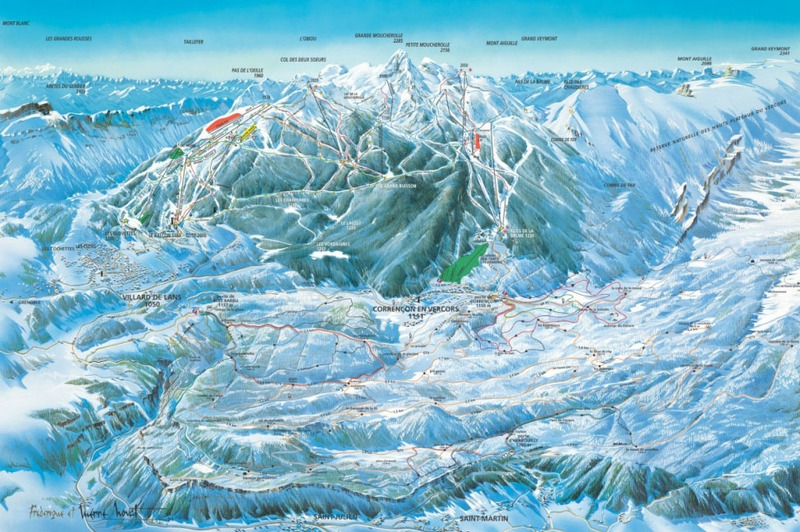 The center and main shops of the resort of Villard de Lans are at 4km from the residence. 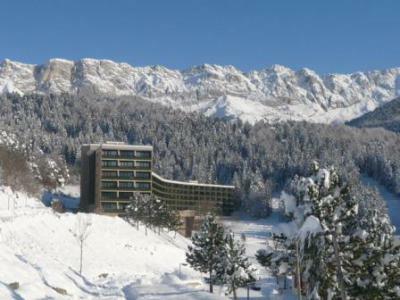 The Residence Le Méridien, with lift, is situated in the ski resort of Villard de Lans. It is close to every amenities of the resort. You can park your car in the private car park of the residence. Ski slopes and Ski School aare at 5km. You will find a sledge slope near the residence. The Maison du Lavoir is situated in the center of Villard de Lans with a large terrace and Southern full ground. It proposes a beautiful view on the mountains. The ski slopes and the ski school are 5000 m from the house.